Change the primary display settings for your coupons. If checked, this will auto generate a coupon archive using the archive slug below. Disable this if you would rather use the [wp_coupons] shortcode to print the coupon archive inside of a page. This can be useful if your theme has some conflicts with our archive template. 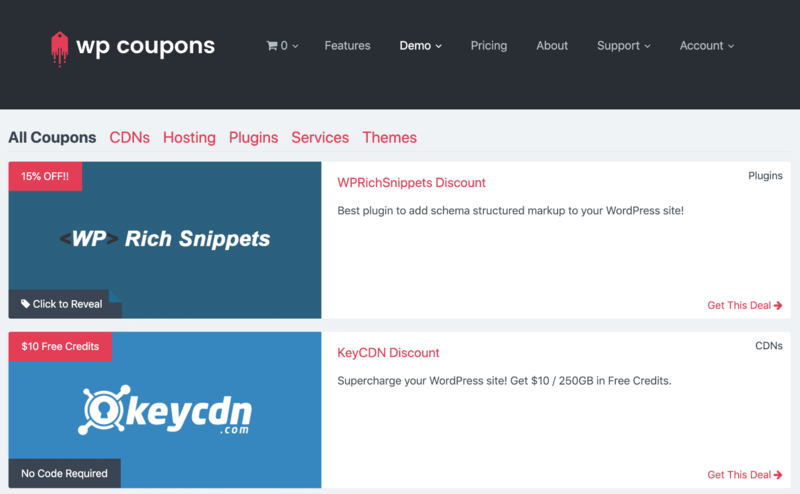 If checked, single coupon posts will display using our custom template. Disable this if you would rather use your theme’s default post template to display single coupon posts. This can be useful if your theme has some conflicts with our custom single post template. This option can be helpful if you are not wanting to display any additional content on your individual coupon posts and put the sole focus on the banner displayed at the top. 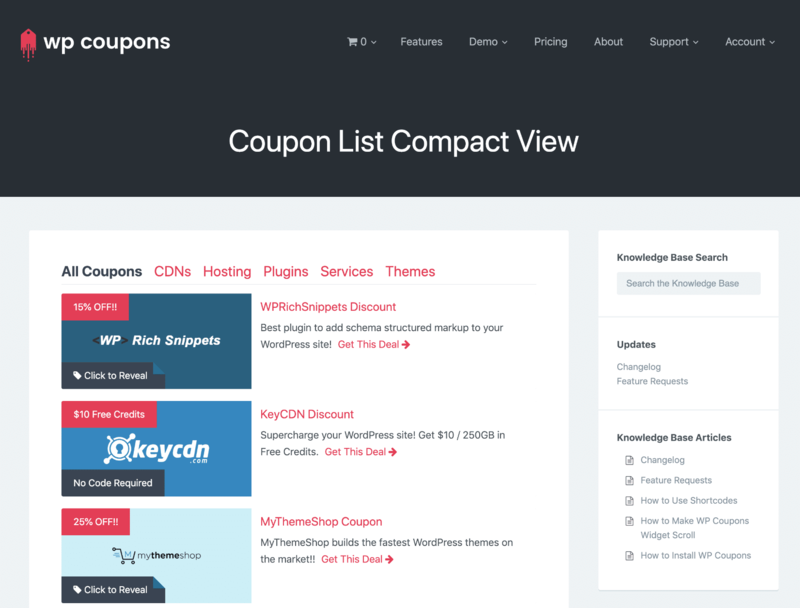 This will change the style and placement of your coupon archive navigation. 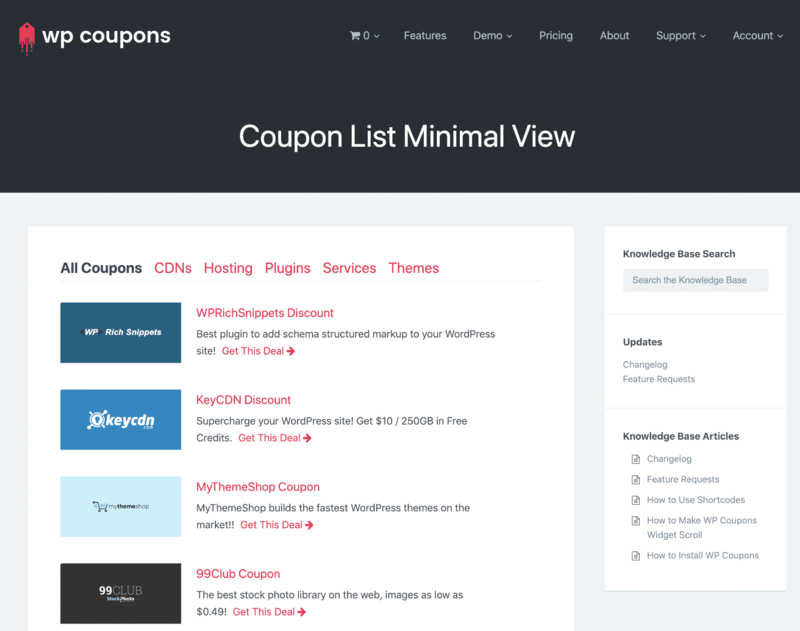 This will change the layout of the main coupon archive as well as the [wp_coupons] shortcode. There are currently four different types of archive layouts. The default layout is a 3 column layout. The list view uses the same size thumbnails, it’s just in a vertical list instead. The list compact view is great for pages with a sidebar and for those that want to display something not as large. Want an even more stripped down view? That’s what the minimal view is for. If checked, discount codes will be hidden by default and require the user to click to reveal a popup with the discount code, and a link to the deal. Default: Unchecked. Read more about how the click to reveal works. This will cause the related coupons section to print out on the specified hook instead of directly after the_content. When using the previous option to print related coupons on a custom hook, this will set the priority that the function prints in relation to others using the same hook. This will force the coupon widget to display a specific coupon globally. This will force the coupon widget to display a specific coupon if on the home page (overrides global widget coupon). 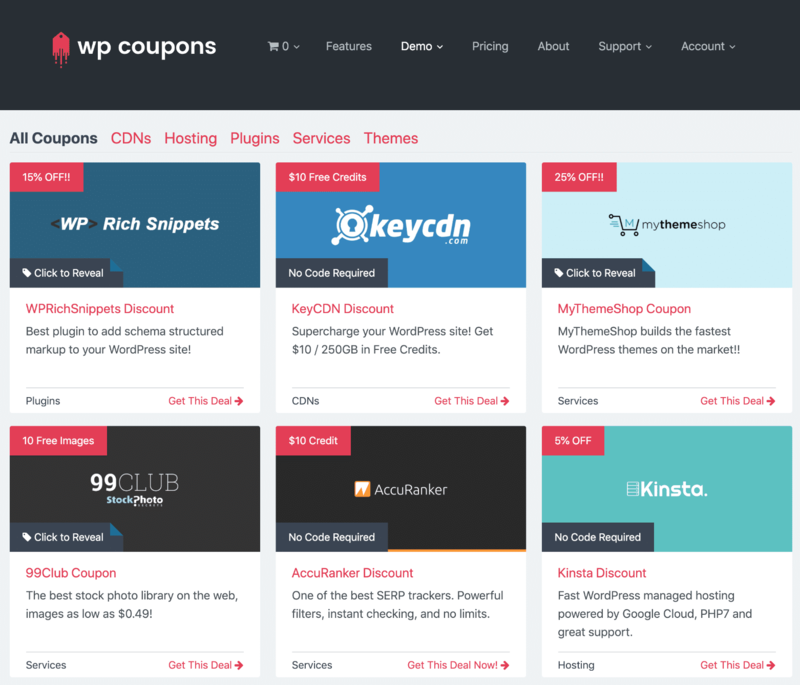 If checked, this will display a “Powered by WP Coupons” link underneath the coupon widget. If you are in our affiliate program, make sure to enter your ID below. Enter your affiliate ID here if you have attribution links enabled to add it to the referral URL.